Everyone today wants to become wealthy & they are seeking secret to become wealthy. Well there is no such secrete, it is a way of being. And this requires constant growth and reorientation. We have carry out research to know how what qualities it takes to become wealthy. So if you are poor and want to know how people born into poverty eventually become wealthy this post is for you. Study reveals that wealthy people always make long term vision and plan. They know that they will achieve financial success by making dream or vision. They make plan and follow it. They regularly assess situation and take important decision accordingly. Wealthy people know how to multiply money and power of compounding. They invest money early. They don’t touch money for long term. They avoid making move from one investment to other frequently. Wealthy people know difference between asset and liability and they always invest in asset. Cash flow pattern of wealthy is like income goes in to investment of asset which generates more money. 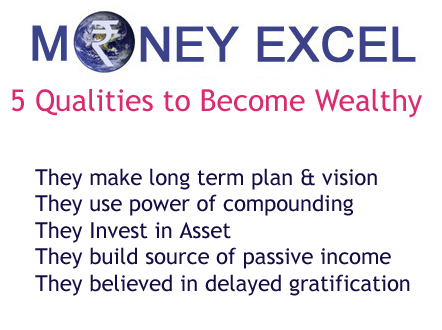 So if you want to be wealthy start investing in asset. 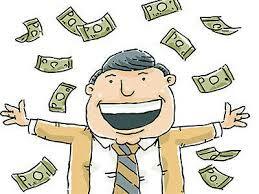 Another quality of wealthy people is they are always looking for extra source of money and passive income. They build multiple source of income. They know how to make money work for them. Rather than get everything they wanted right now, these people were willing to make short-term sacrifices to gain long-term success, which is the basis of delayed gratification. So if you want to become wealthy start following these qualities of wealthy people. Do share this post with your friends on facebook and Twitter!